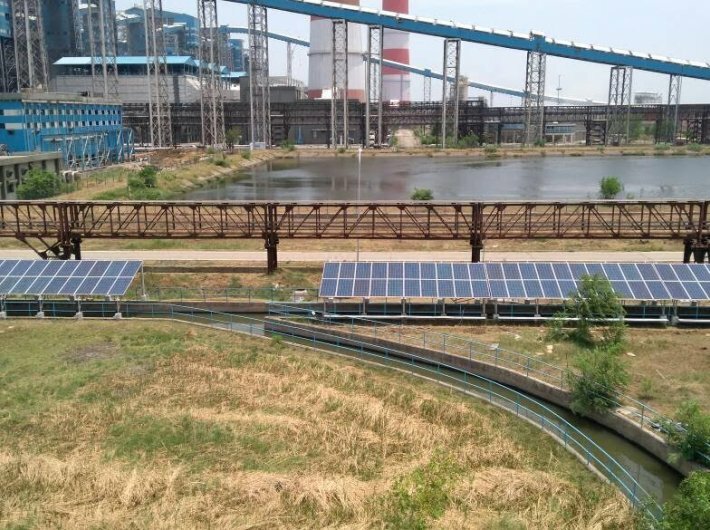 NTPC has energised 150 kWp canal top solar photo voltaic (PV) System on cooling water (CW) channel at its 2,320 MW Mouda thermal power project, near Nagpur in Maharashtra. The solar system makes use of side walls of CW channels as load bearing structure which significantly decreases cost of civil and mounting structure. The system also has several other unique advantages such as land conservation, water conservation due to reduced evaporation, increased PV generation due to cooling and reduction in dirt, leaves thereby reducing chemicals for water treatment.